In the case of the Alfas, my first one was inherited from my dad, and was already terminal when I got it. I drove it through high school and limped it through a year of college before selling it for parts to a guy with an eclectic collection of Italian oddballs. I always said that if I found a perfect green Spider I’d buy it and never look back – and I did. Unfortunately, it was so perfect (read: unused) that most everything that could go bad with age had done so, and as good as it looked with its scant 18,000 original miles, it was such a mechanical disaster that I added a set of carbs in place of the Spica fuel injection and sold it to a guy in Germany, never to be heard from again. The Hondas were something else altogether. I bought my first 1985 Honda Prelude in 1991 with 115,000 miles, and it remains to this day the most reliable used car I’ve ever owned. That car carried me another 100,000 miles with little more than synthetic oil changes, a timing belt replacement, and new CV joints. It was also a great little driver – well-balanced and with the absolute best front wheel-drive manual transmission I’ve ever had the pleasure of using. I finally replaced it more out of vanity than anything – I graduated school and got a job, and really just wanted something new. We still recall The Little Honda that Could with fondness around our house. Coincidentally, my TTS cohort also had a 1985 Prelude, but his was red. 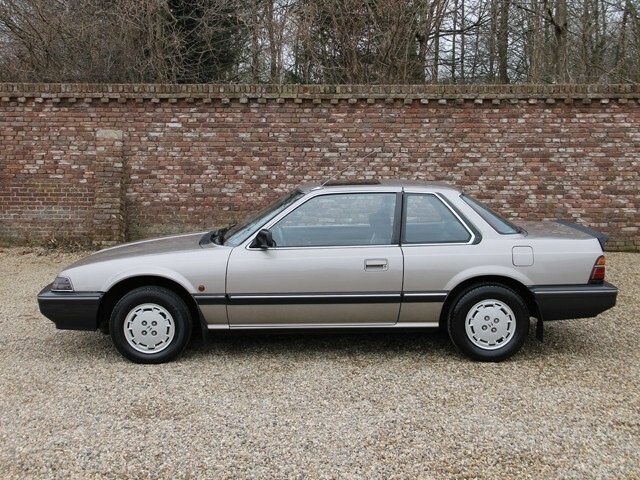 A few years back I found myself in need of a reliable commuter, and I happened across an identical 1985 Prelude to mine: grey on grey, 5-speed, and with only about 90,000 original and well-maintained miles. I bought it sight unseen and shipped it home. What I received was a beautiful vintage Honda with functional AC, a tight shifter, and fully functional accessories. It could also barely get out of its own way. Not that there was anything wrong with it, rather they were all like that: barely 100hp, 0-60 around 10 seconds, top speed of about 110. The issue was that at the time I owned the first one, it was the fastest thing I’d ever owned. In between, however, I’d had somewhere in the neighborhood of 50 cars ranging from old diesels to 400+hp V8s. Nostalgia is a funny thing. 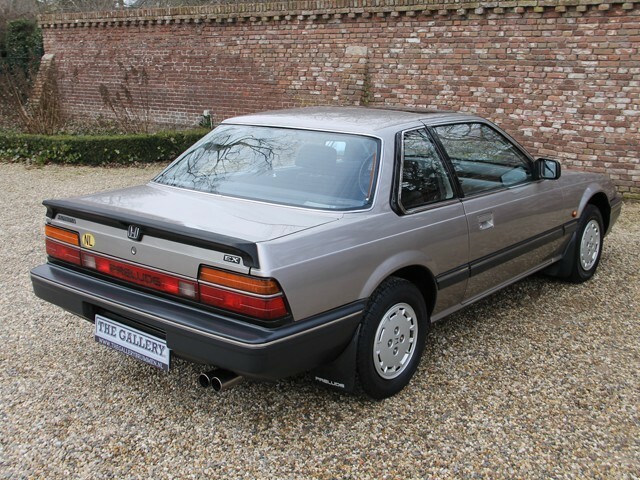 That said, I still have a soft spot for a nice 2nd generation Prelude, and I maintain that good ones have their place. They are also becoming fewer and farther between as there aren’t a whole lot of us who care about them, and they have a tendency to rust in really interesting ways. 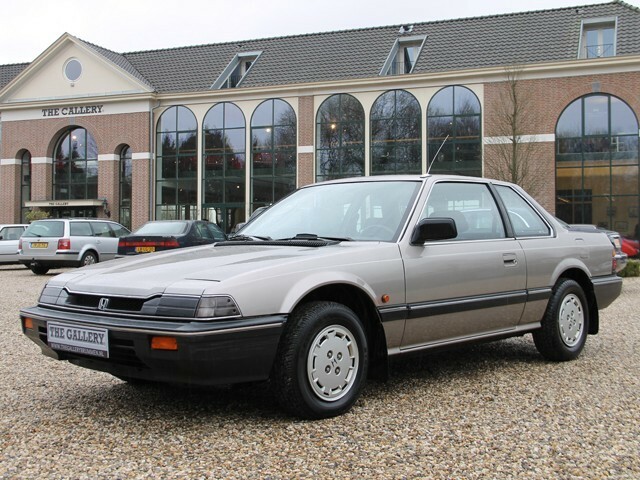 This car on Mobile.de in the Netherlands for 1.950 Euros is compelling on a number of levels: low price, no rust, Euro trim (including rear spoiler, taillights, front corner lamps), and a color never sold in the US. Getting it here would likely double the price, but we can just about guarantee that you’d have the only one like it in your neighborhood. One of the things we like here is cars that are different, and in Euro form this car fits that bill. It also has marginally more horsepower than the US version (110hp) and is modestly lighter, thanks largely to the lack of air conditioning. It does still have a power sunroof, however, to add to the open-air sporty feeling. This car’s interior is in condition supportive of its relatively low approximately 130,000 miles. 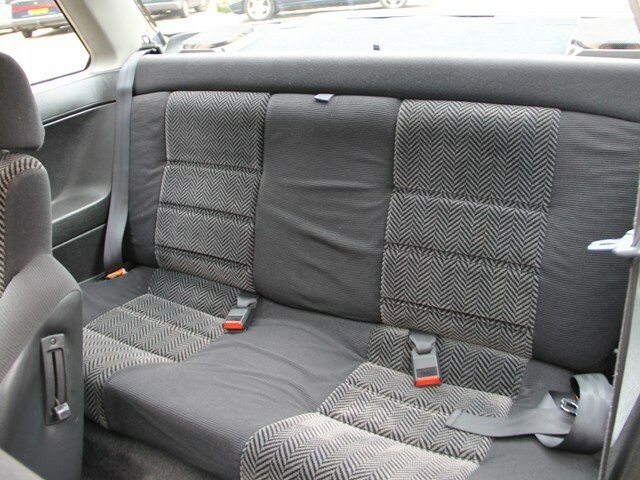 Often the Prelude’s huge, protruding seat bolsters are collapsed from frequent use. These are not. The back seats likewise have a propensity to sag – another non-issue in this case. Interestingly, despite how they look, the narrow-backed sport seats are comfortable even for 200-plussers like me. Preludes have variable-assist power steering: light effort at low speeds that gets heavier the faster you go. As I mentioned earlier, they handle remarkably well, losing to only the Porsche 944 in Car and Driver’s best handling imported car comparison back in the day – no small accomplishment. They are hugely tossable, and yet there’s still room in back for the kids. Heck, I even spent sever hours in the back seat of a friend’s Prelude with my girlfriend in high school. I think I enjoyed it more than she did, but we (arguably) fit. 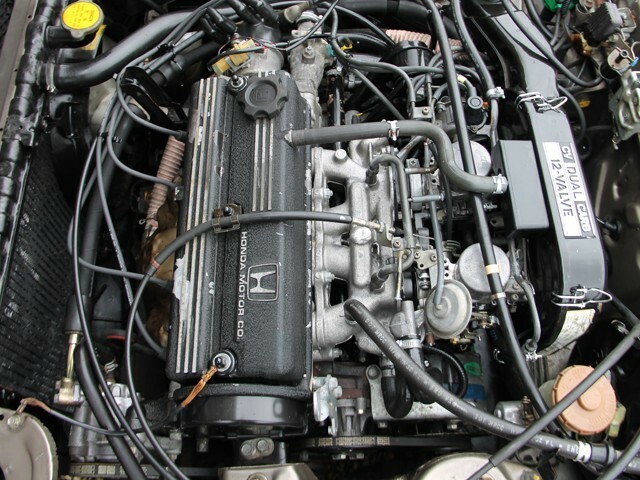 The Prelude’s dual-sidedraft carb’ed 12v inline-4 is a great motor so long as the carbs are happy, but they do get old, and repair parts are not super easy to come by: Honda doesn’t quite support their classics to the same level as the likes of Mercedes-Benz and Porsche. At this point, at least in Virginia where I live, since emissions testing is no longer an issue, perhaps there is a Weber upgrade that can be bolted-on. Or better yet, there are a lot of interesting Japanese domestic market (JDM) Honda motors that put out a lot more power but would easily bolt-in. It may be that I’m getting older, but I still have fond memories of my old Prelude(s), and this one pushes my buttons because it’s unique – at least in the US. I’m also at a point in my life where I have more than one car, and my cars don’t all have to be blindingly fast. There are a lot of good roads near where I live – roads where you will never approach the outer limits of your AMG Mercedes or your BMW M-car, but where you can wring-out the likes of a Prelude and thoroughly enjoy the drive. I sold the last 2nd generation Prelude I had to a kid who was into Hondas for about $4,000. I’ll bet this car could be bought and imported for less than that, provide its new owner with some fun for a while, and then could be sold on for a small profit. After all, all you’ll need to do in the meantime is change the oil. Nostalgia is a funny thing. This entry was posted on Tuesday, January 15th, 2013 at 8:05 PM	and tagged with 2nd Generation, Alfa Spider, B18, CVCC, Honda Prelude, Japanese Cars, JDM, Mercedes Diesel, Nostalgia is a Funny Thing, Toyota MR2, Weber Carbs and posted in Disposable Sports Car, Totally That Stupid. You can follow any responses to this entry through the RSS 2.0 feed. hi! My name is Samuel and im from South africa. After searching the internet i came across this site as i have a 84′ honda prelude 1.8 dual carb with a few engine problems i would so much like to fix such as; incorrect vacuum lines and missing parts possibly. I would really appreciate if you could send me pics of the engine compartment and where all the vacuum hoses lead to. If you can assist me then i thank you in advance! Thanx have a great one! as u know this is a wonderful car to drive! How many miles did the Honda Prelude have?The one you sold for $4000?